When entrepreneur Richard Branson first fell in love with Necker Island in 1979, he could never have known that his newfound tropical paradise would have such an exciting future ahead of it. Over the years, the British Virgin Islands resort’s guest list has been a litany of royals, Hollywood actors, politicians and rock stars – and in later years, the island has become the permanent home for exotic species of another kind. As arguably the most popular boy band on the planet right now, the members of One Direction are notoriously mobbed by fans and paparazzi wherever they go – except, of course, for the super-private Necker Island resort. 18-year old band frontman Harry Styles had a brief visit to the island in early January, where he was pictured partying with Sir Richard and assorted other celebrities. Sir Richard’s friends of the animal persuasion are equally beloved by photographers. A recent article in Business Insider illustrates with gorgeous photos the many creatures that Sir Richard has brought to the island, including ring-tailed lemurs from Madagascar and gloriously-colored flamingos. There is plenty of room on Necker’s 74 acres for his menagerie, which only added to the more than 140 species that are native to the island. 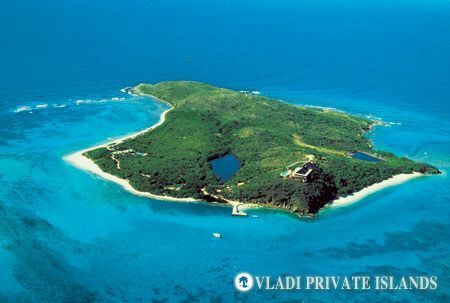 Available for rent through Vladi Private Islands, the luxurious accommodations on Necker can host 28 people for an unforgettable holiday or celebration. 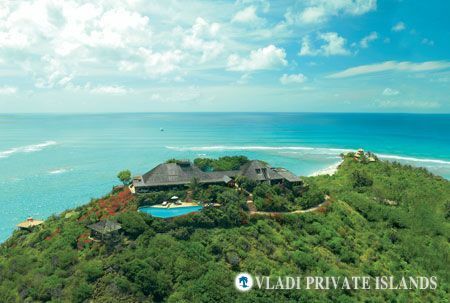 “Surrounded by the sparkling blue Caribbean sea of the British Virgin Islands, Necker Island exudes the elegance and lifestyle of the rich and famous,” says the island’s rental page, and the resort is certain to never disappoint even those with the most discriminating tastes. Starting from US $54, 500 per night for the run of the entire island, the rental price is inclusive of all meals and drinks, transfers to the BVI’s airports on Virgin Gorda or Tortola, and the services of a vast coterie of 60 staff. Once on the island, it will be easy to see why the resort is a favorite among the world’s elite; in addition to the spectacular accommodations and dining guests can enjoy endless water sports, a holistic wellness spa, and exploring the island’s wild frontiers.